Savant Investment Partners announced that is has officially acquired Dura-Bond Bearing Company’s Northern Nevada manufacturing facility, striking a deal to buy the 78,416 square foot facility on more than 6 acres, with the agreement for Dura-Bond to lease the property back for a 15 year term with additional extension options. Savant is betting big on Dura-Bond, a 67 year old company with an impeccable track record, and the fact that Dura-Bond has virtually no significant competition in North America. Dura-Bond is the world’s largest manufacturer of replacement camshaft bearings, and the leading manufacturer of transmission bearings, powder metal valve seats and valve spring shims. 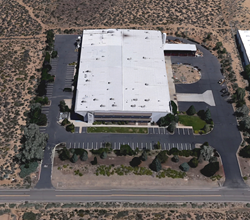 Savant Investment Partners showing its bullish stance on the Northern Nevada industrial real estate market by acquiring one of only 180 industrial buildings in the market. Savant Investment Partners and Savant Commercial Real Estate are headquartered in Las Vegas, Nevada. The acquisition of this Dura-Bond industrial building marks the first of many more purchases that Savant intends to make in Northern Nevada. The Savant group of companies owns and operates a portfolio of high quality real estate throughout the United States, with an emphasis on the Southwestern states, including Industrial, retail, office and multi-family apartment housing. Savant continues to acquire and develop commercial and multi-family real estate in growth-trending areas. Savant’s CEO, Jordan Wirsz, is a nationally recognized and award-winning businessman who has become one of the nation’s most notable real estate investors. Mr. Wirsz has also been featured on national television programs citing his expertise in the high stakes arena of commercial real estate investing.